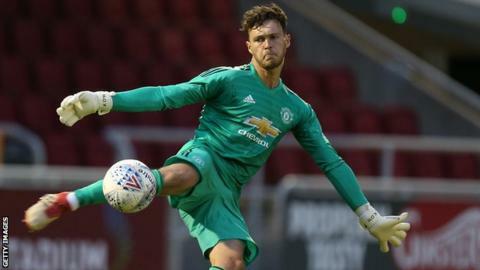 Manchester United have loaned goalkeeper Kieran O'Hara to Macclesfield Town for the entirety of the League Two season. The 22-year-old played five games at fourth-tier level while on loan to Morecambe in 2016-17. He is yet to make an appearance for United but plays for their under-23s. Republic of Ireland Under-21 international O'Hara was also part of Martin O'Neill's senior squad, but is yet to win a full cap.